This week Nesta and the government-funded Technology Strategy Board are offering £10 million for a solution to the biggest scientific problem of our time. The competition idea is based on the 1714 Longitude Prize, which was won by John Harrison. 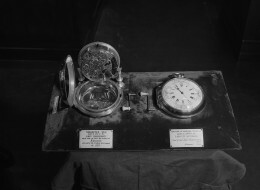 His clocks enabled sailors to pinpoint their position at sea for the first time. FLIGHT – How can we fly without damaging the environment? FOOD- How can we ensure everyone has nutritious sustainable food? 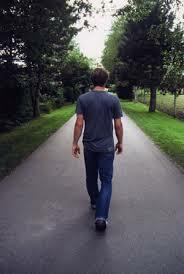 PARALYSIS – How can we restore movement to those with paralysis? WATER – How can we ensure everyone has access to safe and clean water? DEMENTIA – How can we help people with dementia live independently for longer? Comparing the modern prize to its predecessor, Prof Sir Martin Rees, chair of the Longitude Committee and English Astronomer Royal, observed that there is no manifest number one problem as there was in the 18th Century. Rather there are many broad societal problems demanding fresh thinking. Each category will be examined in a BBC Horizon programme to be broadcast on BBC 2 at 21.00 tomorrow. After that a public vote will be opened, with the chosen theme to be announced on 25 June. My own favourite and the one I hope they choose, at the moment, is the search to provide freedom of movement to people with paralysis. This case will be presented on Thursday by A&E doctor Saleyha Ahsan, who will demonstrate the potential for her challenge with the help of Sophie Morgan, who has a spinal cord injury. Using a robotic exoskeleton called Rex, Ms Morgan is able to stand up on stage. Whichever category is chosen the prize will go some way to harness a spirit of ingenuity, creativity and positivity. Great innovators like Ada Lovelace, Charles Babbage and Alan Turing led the field in technology only to be replaced with other pioneers in other countries who were supported, encouraged and more importantly funded by visionary Governments and Businesses. This could be a chance to channel more brain power into innovation, jump-start new technologies and enthuse young people. It will be exciting to find some modern-day John Harrison somewhere out there who will be inspired to change our world fundamentally and who may not even know they are a scientist. I look forward to the programme tomorrow and to finding out more about each category, and I may have to change my mind, however I wish everyone good luck. Simone de Beauvoir must be turning in her grave. Is it some kind of sick joke? After years, decades, nay centuries of effort to get gender equality into our social order, women have now achieved that great accolade – for which, as far as I know, they never strived – they have been granted the chance to be given frontline combat roles in the armed forces. Sicker and sicker. Although there have been women with background roles in the armed forces before, women in the UK can now be deployed at the very front of where the action is with a primary role to kill. So from our traditional life-giving roles, which we have taken for granted for too long, we now have arrived at that apogee of equality, we have been given the wonderful chance to be life-takers. Oh joy. All the women throughout the ages, suffragettes, Greenham Common women, technological innovators, we/they have all now failed. I have called myself a feminist with pride, but what I really was yearning for was the chance to make the world a better place, a place in which a woman’s touch would turn this planet into a peaceful place. I have never supported war in any guise, and do not recognise that there is any ‘just war’ and it is never right to take life. It is generally agreed that there have been limited choices of employment for most women outside the home throughout the last few centuries. Considering some of these opportunities, it seems that in the textiles industry women’s work was to programme the looms with punched cards, but it was also a woman who saw this and realised that this binary code was perfect for programming computers. In offices around the world women’s typing was supposed to be intended only for the eyes of men, the bosses. However the development of new techniques by Pitman and Gregg made shorthand a private female code, another language, another code. In the production of miniature components women were small, weak and powerless but it was their hands that were more agile, dexterous and best suited to micro processing thus replacing men on the factory floor. As it turns out, women have not merely had a minor part to play in the emergence of digital machines. When computers were vast systems of transistors and valves which needed to be coaxed into action, it was women who turned them on. When computers became the miniaturised circuits of silicon chips, it was women who assembled them. Theirs is not a subsidiary role because when computers were virtually real machines it was a woman who wrote the software on which they ran. Often called the first computer programmer Ada Lovelace was undoubtedly an interesting character. The question is still open for debate, was she a promiscuous, spoilt society heiress or a gifted mathematician and original thinker? Some (man) called her not only irrelevant but delusional – I can’t remember his name now. As the brilliant daughter of Lord Byron, her mother feared that Ada would inherit her father’s volatile ‘poetic’ temperament, so she raised her under a strict regimen of science, logic, and mathematics. Ada had a fascination with machines from childhood, designing fanciful boats and steam flying machines, and poring over the diagrams of the new inventions of the Industrial Revolution that filled the scientific magazines of the time. 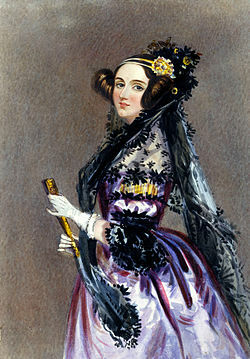 In correspondence with Charles Babbage, who was working on the ideas for a machine that is now recognised as a forerunner of the modern computer, Ada demonstrated her gift for mathematics and was described by him as “the enchantress of numbers”. She was introduced to him by another female scientist famous in her day, the mathematician Mary Somerville, who mentored Ada during her relatively short life. Babbage was impressed by the mathematical skills Ada possessed and invited her to make notes and translate a piece in Italian written by Luigi Menabrea describing Babbage’s ‘analytical engine’, so that it could be published in England. Her footnotes include what is recognised as the first algorithm intended to be processed by a machine, while she also speculated on its future ability to create graphics and complex music. She must have inherited some of her Father’s brilliant poeticism, however, as she also developed a vision of the capability of computers to go beyond mere calculating or number-crunching while others, including Babbage himself, focused only on those capabilities. Her mind-set of “poetical science” led her to ask basic questions about the Analytical Engine examining how individuals and society relate to technology as a collaborative tool. Maybe she was just more practically prescient than the focused men around her? Her lasting legacy as role model for girls and young women considering careers in technology is remembered on Ada Lovelace Day (this year it’s on 14th October 2014) which is dedicated to the celebration of the achievements of women in science and technology. It seems it’s not just writers but all of us have problems with sitting at their desks for long periods of time. On ‘Call You and Yours’, Radio 4, yesterday Shari Vahl explored what it will take to get us moving as new research from the Ramblers says a third of adults wouldn’t consider walking more than twenty minutes to get from one place to another. That’s even though NHS advice is for a hundred and fifty minutes a week! So, easily influenced as I am, I forsook my bike yesterday (see previous blog) and walked. I walked briskly to some stirring songs on my ipod for about 45 mins., and surprisingly I found it more tiring than cycling. I did feel good though and my tyrant bum seemed to benefit from this exercise. I could imagine my gluteus maximus tightening and firming up. Also, as the programme advised, I am now standing at my computer to write this blog. The programme asked why employers were prepared to pay vast sums for ergonomically designed office chairs but were reluctant to invest in standing tables in the work place. Invest? They don’t need to spend anything as I have discovered; they just need to get their employers to bring in their suitcases and place them on top of their desks and then perch their laptops/keyboards on top of those. Simples! Would you consider standing up all day at work as a solution? But isn’t standing hard on the feet, not to mention the back I hear you say? How do we persuade the office workers, the drivers, the couch potations to change their habits and really use the stairs not the lift? Prove to us that there’s not going to be another survey that tells us something different tomorrow, might be a start. Last week London’s Selfridges played host to an Intelligence² debate concerning the possibility of looking attractive in old age, yes even at one hundred! There’s a broad perception that female beauty and glamour have a sell-by date, I can’t imagine why – but does that have to be the case? In a world where anything can happen, anywhere, and anyone can watch there should be room for everyone. If you’ve got the time, inclination and money you can choose Botox, liposuction, plastic surgery, dermal fillers et al to hold back the effects of time on your body, but if you just can’t be bothered, why should you? 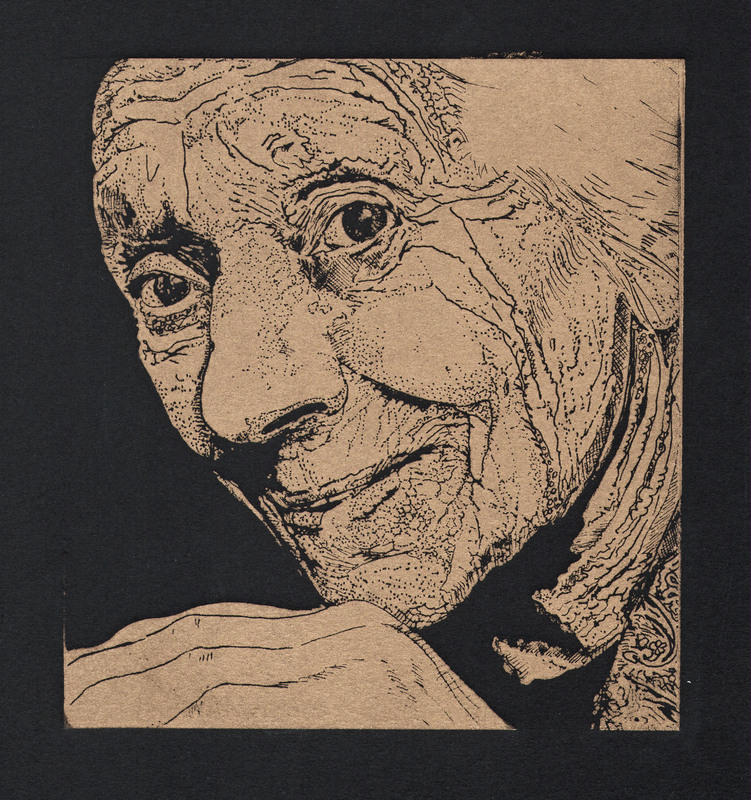 One of the most beautiful faces I have seen is of an old woman with a serene smile on her very wrinkled face; the wrinkles, so fine, detailed and lace-like, were permanent evidence of a life lived well and happily. What could be nicer? However I think that if you are doing all that hard and painful work for yourself, that’s fine, but if you want to be the object of admiring gazes then please don’t be fooled. Young men and old men alike will always choose to see a beautiful young woman reflected in their gaze and not a good-for-her-age granny. My idea of real beauty. It must happen to anyone who sits in an office chair for long periods of time. Or is it just my ageing bottom that complains if it has to take my weight for hours on end? Whilst I write, research or socialise, the time I sit there is regulated by my back-side; a tyrant bum that forces me up and out. just me or is there such a thing as a writer’s bottom? Women’s work is a term used particularly in the West to indicate work that is believed to be exclusively the domain of women and associates particular jobs with women. It is particularly used with regard to work that a mother or wife will perform within a family and household. The term may be pejorative, when applied to men performing roles which are largely designated for women. The term “women’s work” may indicate a role with children as defined by nature in that only women are biologically capable of performing them: pregnancy, childbirth, and breastfeeding. It may also refer to professions that involve these functions: midwife and wet nurse. “Women’s work” may also refer to roles in raising children particularly within the home: nappy changing and related hygiene, toilet training, bathing, clothing, feeding, monitoring, and education. It may also refer to professions that include these functions such as that of teacher (up to the age of puberty); nurse, governess, nanny, care worker and au pair. “Women’s work” may also refer to roles related to housekeeping such as: cooking, sewing, ironing, and cleaning. It may also refer to professions that include these functions such as maid and cook. Though much of “women’s work” is indoors, some is outdoors such as: fetching water, grocery shopping or food foraging, and gardening. When they leave the domestic environment “women’s work” has usually been involved with the low-status microprocesses of textiles production (Spinning the yarns, weaving the yarns, sewing the material and selling the clothes); secretarial work (typing, shorthand, telephonists, accounts, post office); the production of miniature components (micro-chips, valves, cogs, wheels); women were supposed to be the insignificant and inconspicuous, invisible and unconnected element, kept apart by demands of home, family and husbands, isolated in this way they couldn’t organise themselves into communities, unions or pressure groups after the fashion of men. Middle-class jobs like teaching and nursing were “women’s work” but working under the guidance of patriarchal hierarchies like doctors, headmasters and managers. The guerrillas in their midst were missed, ignored or overlooked, those apparently well-behaved creatures who spent their time making lists, detailing procedures, typing, sorting, coding, folding, switching, transmitting, receiving, wrapping, packaging, licking the envelopes were thinking all along.